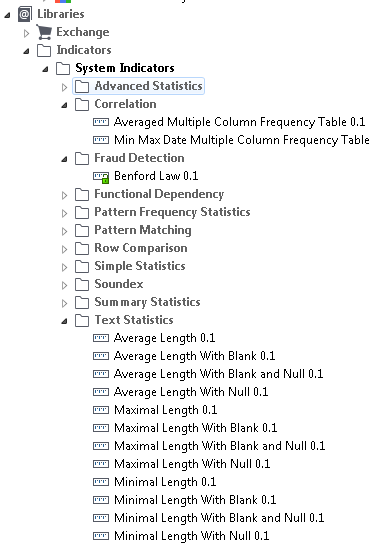 This will be a deeper dive look at analyzing data quality with Talend Open Studio using patterns, indicators, and rules. 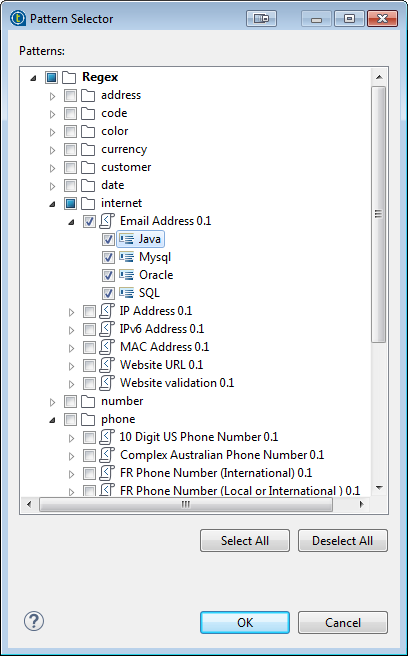 In our case, using the Adventureworks sample database on PostgreSQL, let’s match some attributes of the humanresources.vemployees view including email address, state codes, and zip code. A bit of a hidden feature is to right-click on the stacked bar chart (‘matching’ section) to see the actual data rows that were flagged by this profiling rule. Indicators can be the results achieved through the implementation of different patterns that are used to define the content, structure and quality of your data. Indicators represent as well the results of highly complex analyses related not only to data-matching, but also to different other data-related operations. 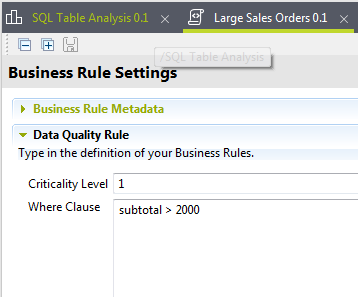 Talend offers two types of rules. The first are match rules, used to identify duplication within a data source and also to link records across data sources. 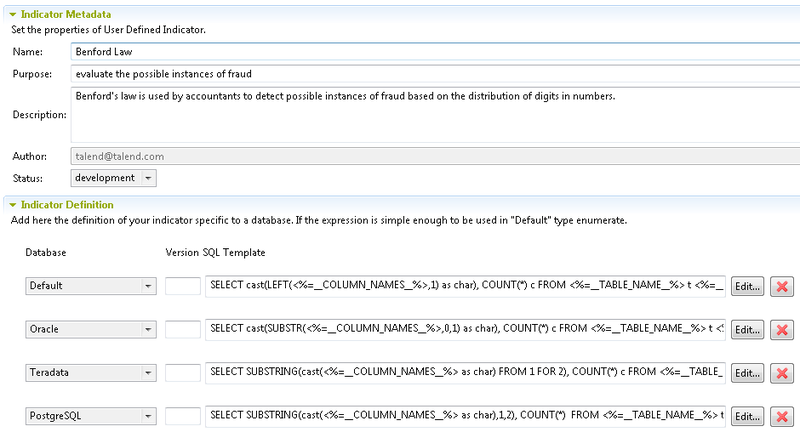 Secondly, a set of SQL rules is available to flag records, possibly from a table join, meeting a certain criteria. 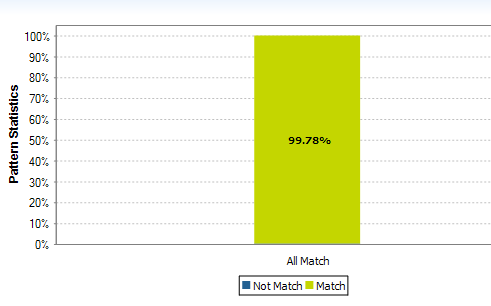 Custom match rules can be created in Talend to identify duplication. 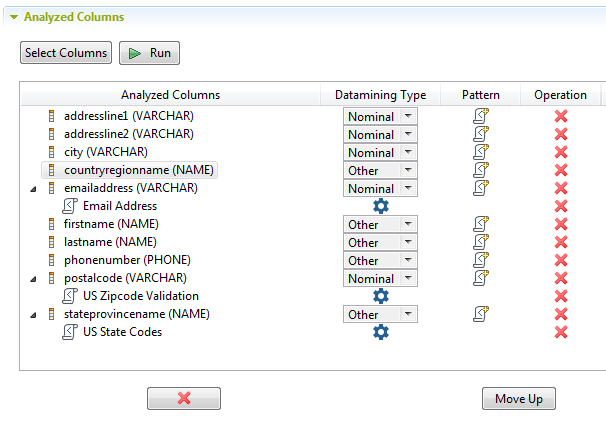 I hope to cover this feature more thoroughly in an upcoming post on Master Data Management. When run, this job returns a results listing showing that roughly 1/3 of sales orders exceed the $2000 threshold. Again right-clicking on the stacked bar chart (‘matching’ section) shows the actual data rows that were flagged by this profiling rule. While it does take a while to become familiar with Talend Open Studio, it’s well worth the effort to gain a powerful tool in your data management toolbox.